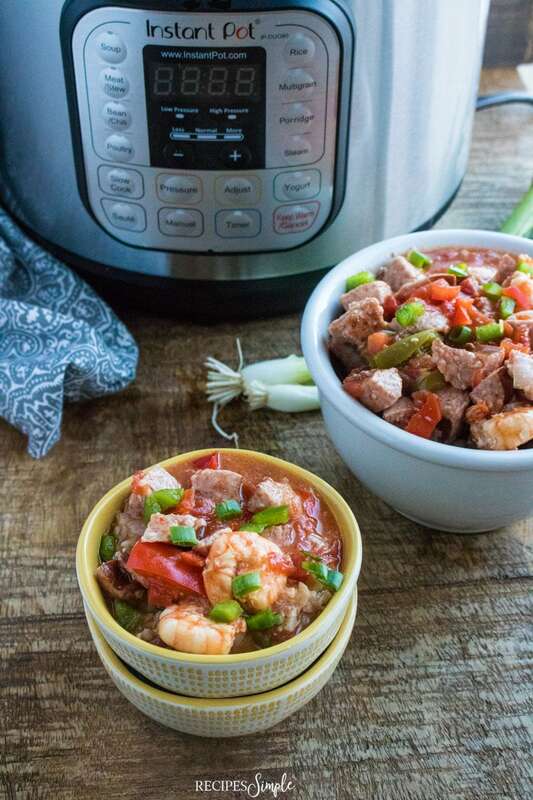 This Instant Pot Gumbo is full of shrimp and sausage and makes a delicious meal that comes together in less than half an hour. 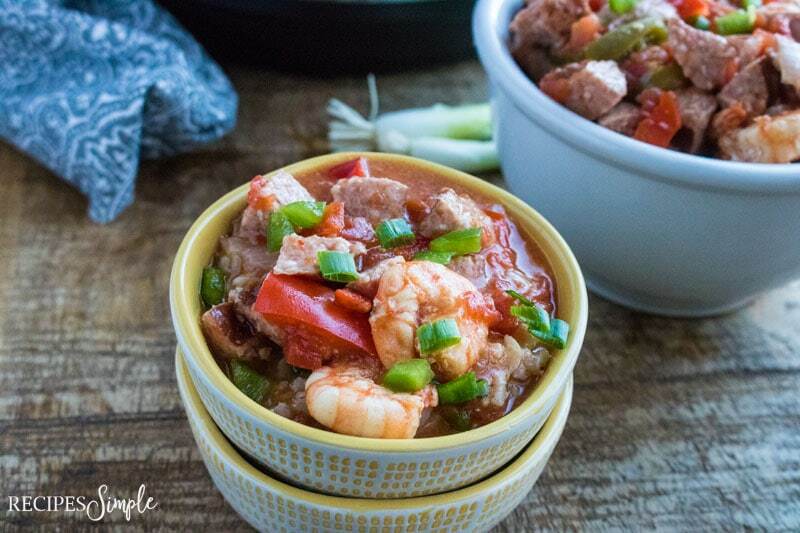 We love this Instant Pot Gumbo because it’s very filling, comforting and so good! And it reminds me of our trip to New Orleans. When we visited New Orleans a couple of years ago we loved the city and the food. 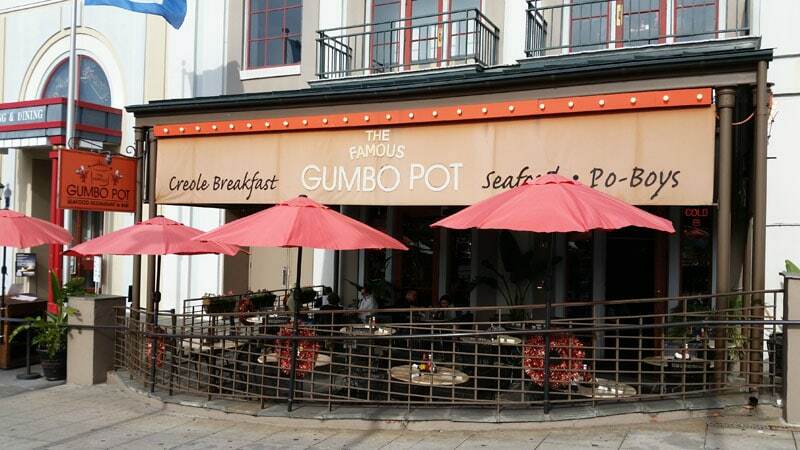 We ate lunch at The Famous Gumbo Pot. My husband ordered a big bowl of gumbo that came with a thick crusty bread and I had a Shrimp Po’Boy. They both were delicious and we enjoyed our food sitting outside on the patio soaking up the atmosphere. There is nothing like New Orleans! I love people watching when I’m there. 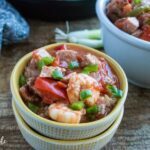 I like to add a little variety to our meals and this Instant Pot Gumbo is perfect when I want something different for dinner. 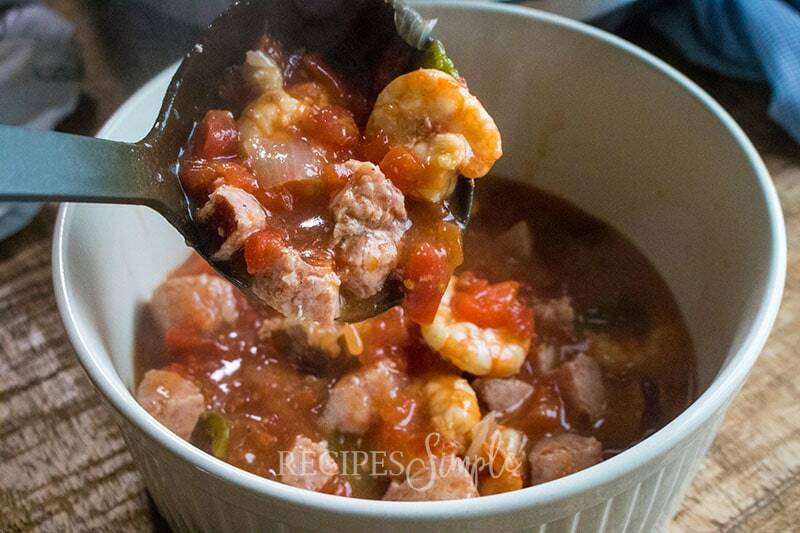 It’s a thick and hearty Southern recipe that is so easy and delicious! Since I work full time and we have so much going on, keeping meals simple and easy allows me to get dinner on the table fast and helps me avoid getting take-out all the time. This is why I love my Instant Pot and Slow Cooker. 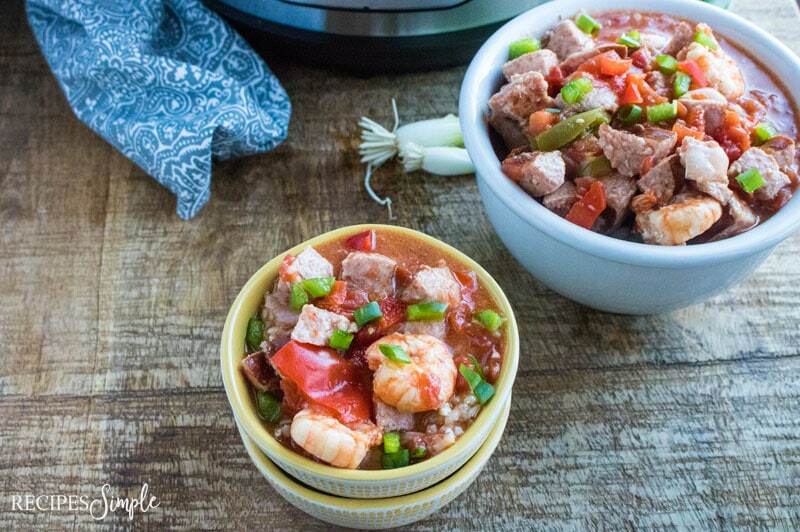 If you want a little taste of New Orleans try this Instant Pot Gumbo with shrimp and sausage. 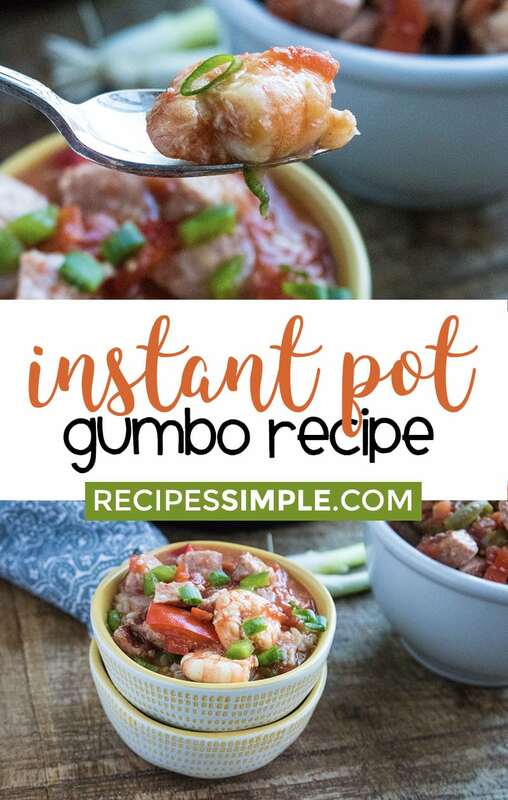 Scroll to the bottom for the printable instant pot gumbo recipe! Before you get started gather all your ingredients! It makes things so much easier when you are cooking. 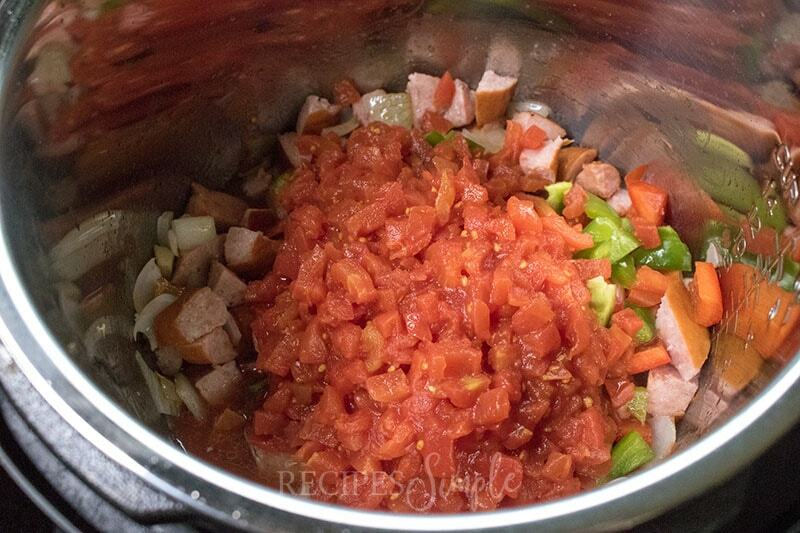 You’ll need olive oil, kielbasa sausage, onion, green pepper, garlic, cayenne pepper, black pepper, diced tomatoes, frozen shrimp, salt, water, and cornstarch. 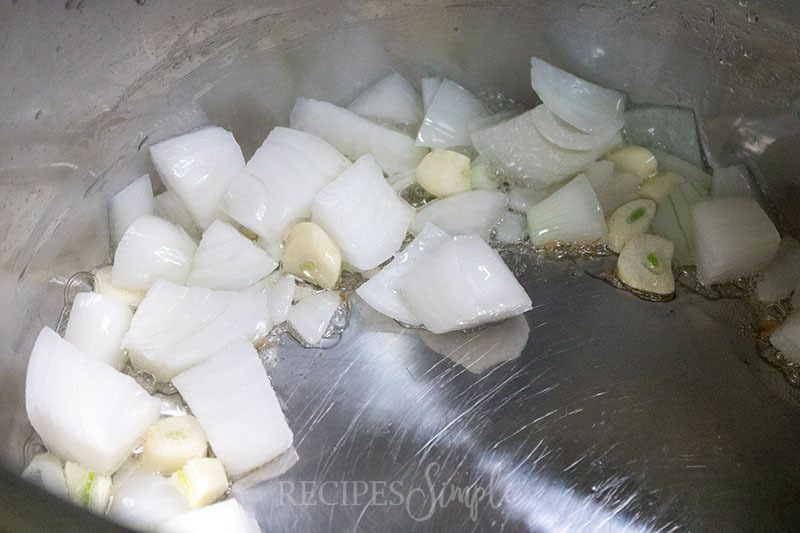 To get started, set the Instant Pot to the sauté setting and cook the kielbasa and onion in oil for 3 minutes, stirring occasionally. Add the green pepper, garlic cloves, cayenne pepper, black pepper, diced tomatoes, frozen shrimp, salt, and 1 cup of water. Then, turn the pressure valve to sealing and set manual pressure on high for 6 minutes and then do a quick release. Mix together the cornstarch and 3 tablespoons of water until smooth and then set the pressure cooker back to the sauté setting. Pour the cornstarch mixture into the pot and stir to thicken. 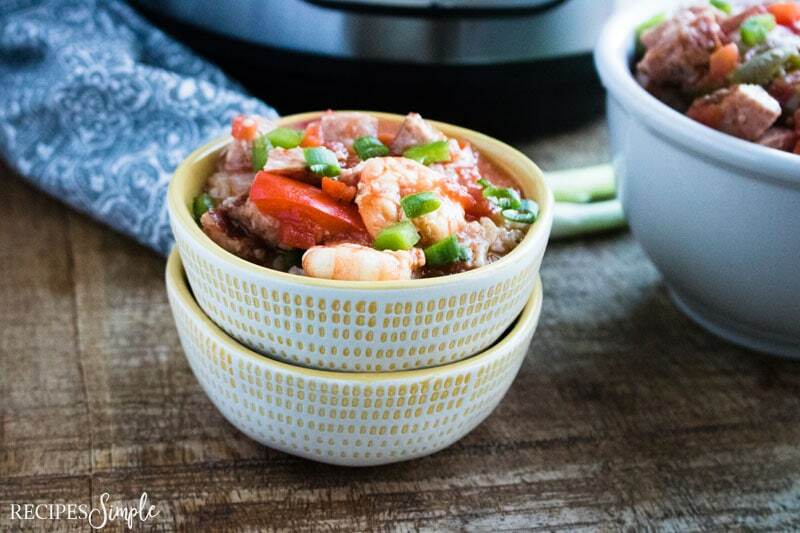 Turn the Instant Pot off and then serve warm and enjoy! 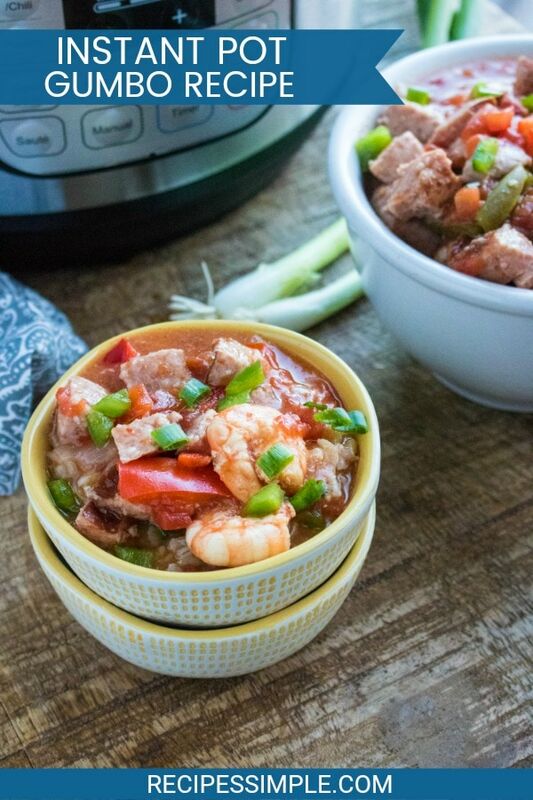 This shrimp and sausage gumbo is a flavorful meal that comes together in less than half an hour in the Instant Pot. Set the instant pot to the sauté setting and cook the kielbasa and onion in oil for 3 minutes, stirring occasionally. 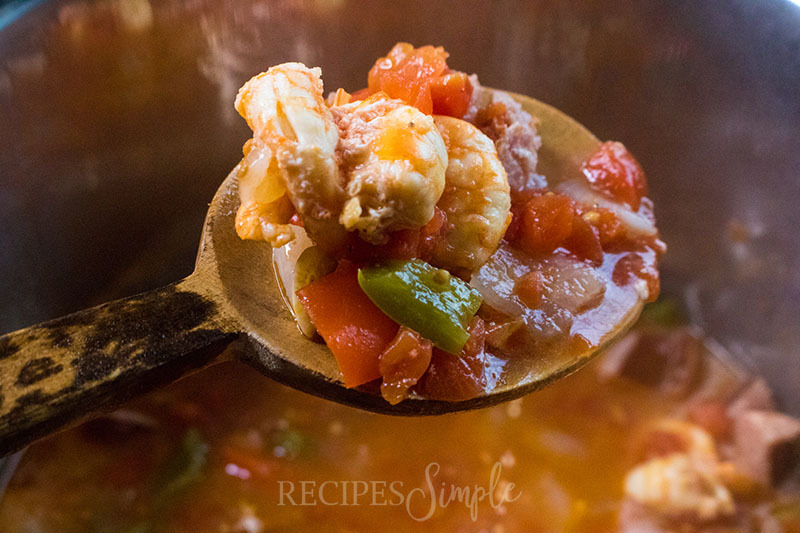 Add the green pepper, garlic cloves, cayenne pepper, black pepper, diced tomatoes, frozen shrimp, salt, and 1 cup of water. Turn the pressure valve to sealing and set manual pressure on high for 6 minutes and then do a quick release. Mix together the cornstarch and 3 tablespoons of water until smooth. Set the pressure cooker back to the sauté setting. Pour the cornstarch mixture into the pot and stir to thicken.